Wayland Group (CNSX:WAYL) (FRA:75M) (OTCMKTS:MRRCF) (formerly Maricann Group Inc.) announcement that it had secured a license to produce medical cannabis in the UK is a harbinger of opportunity in a significant new market that has the potential to generate at least as much wealth as the Canadian ACMPR movement has. So why should investors sit up and take note? Theros is well-known in the UK since it helped six-year-old Alfie Dingley receive a prescription for cannabis oil to treat epilepsy. The company is led by Professor Michael Barnes, a neurologist and medical cannabis advocate who teaches at Newcastle University. Theros said it will import cannabis from Wayland’s Canadian operations (remember: everything for export to the UK must be EU GMP certified. (See definition here). Think of this as the same kind of high profile seminal event that propelled Charlotte’s Web Holdings Inc. (CSE:CWEB) to its current market cap of ~$2 billion. Wayland Group’s market cap at the time of writing is ~$245 million. This marks the 5th country in which Wayland Group operates and is the 4th European operation, adding to Switzerland, Germany and Italy. 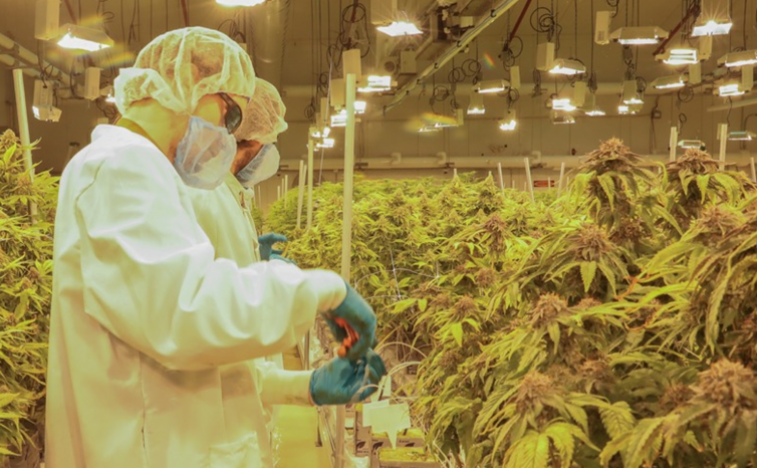 Not only is Wayland in solid company, being number 4 in an exclusive list of LP’s including Tilray, Aurora Cannabis, and Canopy Growth, who have EU GMP-certified facilities to export cannabis into the European market, but they have already got commitments to purchase cannabis from its affiliates there totalling over $30 million in sales. The UK is an exceptional opportunity because its patients will be covered by the National Health Insurance?? System, which is certain to catalyze an absolute flood of recreational users who will suddenly develop symptoms ranging from anxiety to back pain. Wayland Group is one of our portfolio of investment-grade cannabis companies, and provides financial support to Midas Letter in exchange for our coverage. I would add that I am personally buying the stock opportunistically on dips. Wayland Group has come under fire previously due to inappropriate behaviour by two directors who are no longer involved with the company. The resulting fallout is precisely the cause, in my opinion, of the company’s attractive valuation.